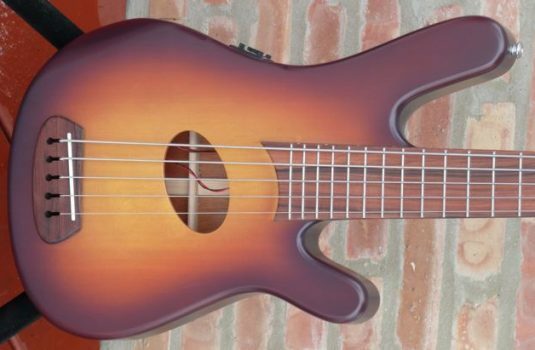 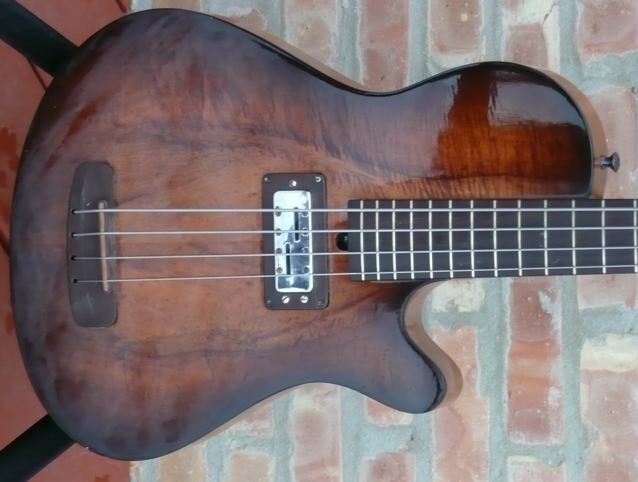 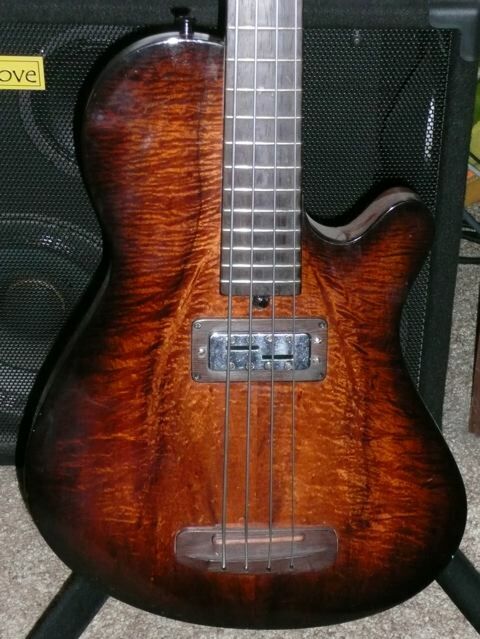 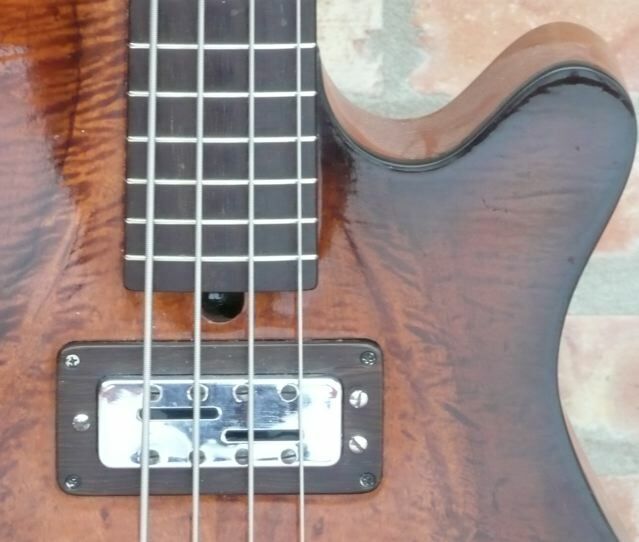 This is a one-off made by Rob a few years ago.Not your typical RA.It is a 32″ scale fretted bass , Mahaogany body and neck , with a stunning Koa top.The fretboard , pickup surround , bridge, and internal tone block are all Brazilian Rosewood. 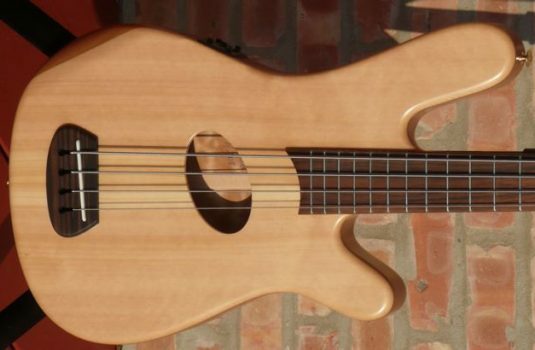 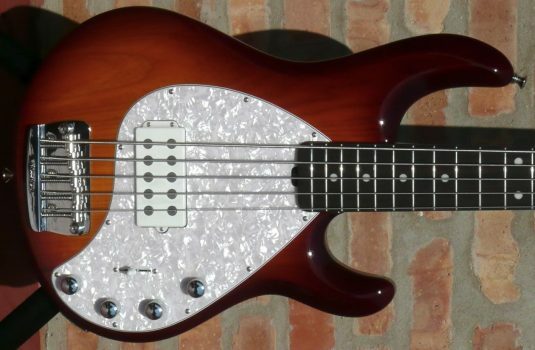 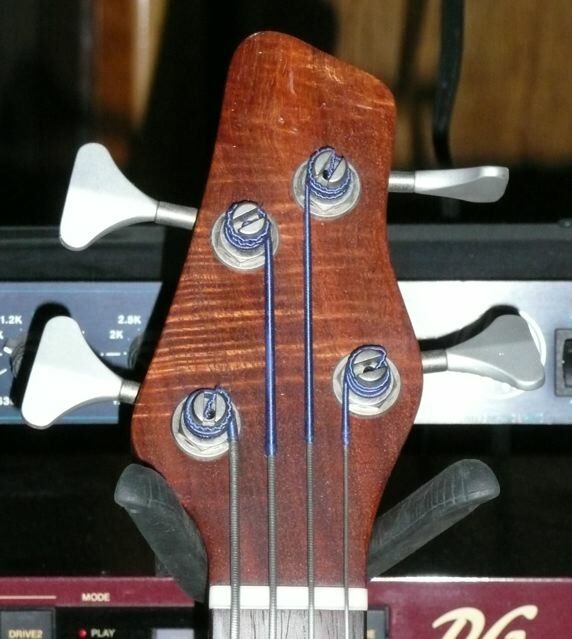 This bass has a single magnetic pickup , no piezo, and no tone or volume controls.Minimal – an RA for AJ, perhaps ? This bass is in very nice shape, does have several small dings and scratches, none of which affect the playability or tone. Right now the bass is strung with Flats, which sound great and impart a righteous acoustic vibe.Rob tells me this bass, back when it was made, was right around $5K. At this time it would be more $, IF he would consent to make another (he is quite busy filling orders with his current lineup of basses ). 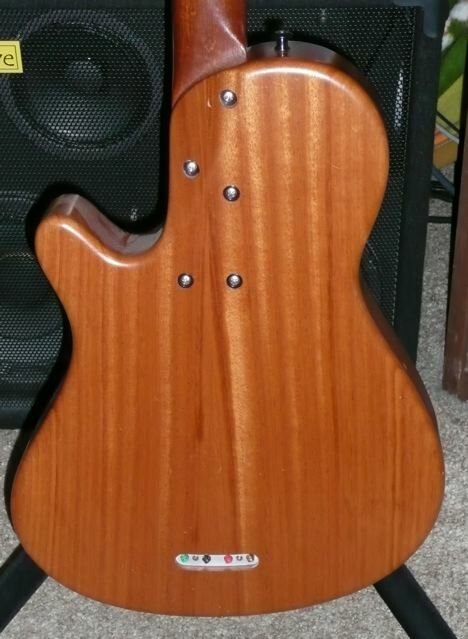 Comes with a very nicely padded gig bag.